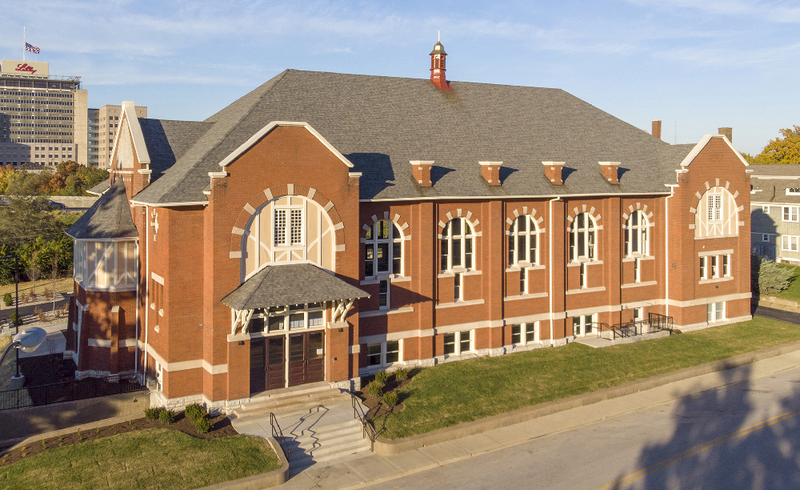 This March, Indiana Landmarks spotlights two architectural treasures in Indianapolis with tours and a talk exploring the awe-inspiring Indiana War Memorial and the spectacularly restored South Side Turnverein. Acclaimed Cleveland-based architects Frank B. Walker and Harry E. Weeks based their design for the Memorial on the Mausoleum at Halicarnassus – one of the original Seven Wonders of the World. The high base, columned facades, and ziggurat-like roof suggest sacred funerary construction, an allusion to the sacrifice of war. Construction on the Memorial began in 1926 and continued into the 1960s. Though it takes inspiration from great global architecture, the Memorial displays its Hoosier connection in walls clad with Indiana limestone. Over time, however, the limestone expanded and contracted, leaving a fractured surface for water to slip through. 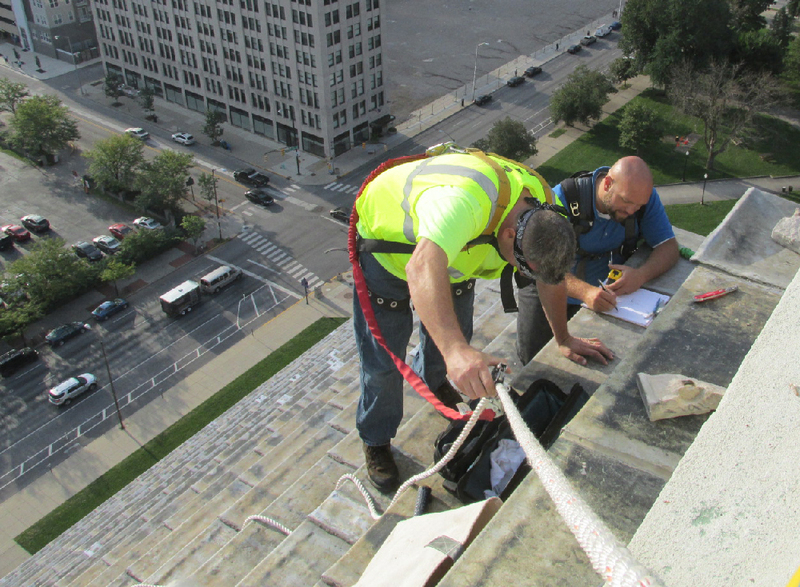 In 2016, the state of Indiana hired crews from Indianapolis-based Wiss, Janney, Elstner Associates (WJE) to evaluate the landmark. A professional daredevil crew — known in the business as the Difficult Access Team –climbed out of an observation window near the very top of the structure, scaling down its sloping face in an operation that would have looked at home in a Hollywood blockbuster. Last summer, workers from WJE and STRUCTURAL cocooned the monument in scaffolding to begin repairs. Guests on the March 9 tour will learn about work to preserve the memorial, as well as its history, architecture, and the contributions of Indiana veterans recognized in its halls. Tour takers will also see the freshly reopened Shrine Room, an architectural headrush of a space dominated by the Altar of Consecration, and have special access to the catwalk and hallway above the Shrine Room for unparalleled city views. Tours on March 9 will last 60 minutes each with departures every fifteen minutes beginning at 10 a.m. Tickets are $15 for members of Indiana Landmarks, $20 per nonmember. Learn more and buy tickets here. (UPDATE: Please note this tour is now SOLD OUT). 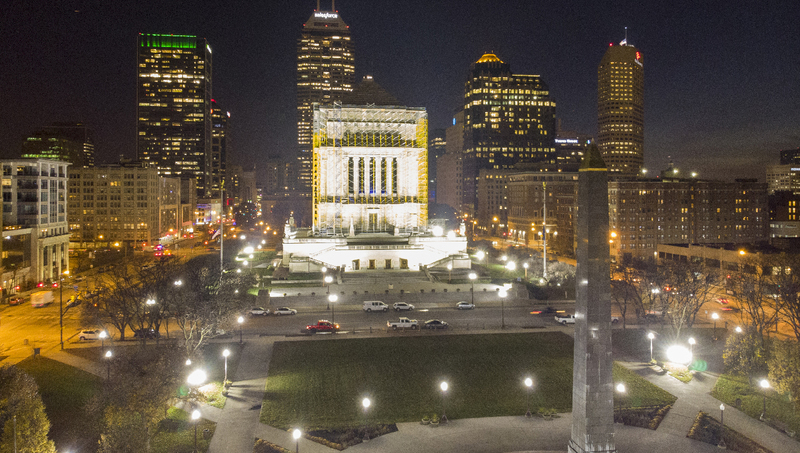 We’re also highlighting the War Memorial’s preservation with a talk on March 7, where Logan Cook, professional engineer with WJE, explains the challenges faced in preserving this Indianapolis icon. The talk is free, though we request an RSVP. On March 2, our Landmark Look at the South Side Turnverein offers an intriguing glimpse of the German heritage that shaped Indianapolis in the early twentieth century. Built in 1900, the building designed by Vonnegut and Bohn served the city’s southside society of Turners – citizens of German descent who espoused the “healthy mind in a healthy body” philosophy of Friedrich Jahn. Threatened by neglect in recent years, the property landed on Indiana Landmarks’ 10 Most Endangered list before Point Comfort Underwriters undertook a comprehensive rehabilitation of the building, utilizing the federal Historic Tax Credit at Indiana Landmarks’ recommendation. See the top-to-bottom transformation of the landmark inside and out, including the painstakingly recreated allegorical bas relief by Rudolf Schwarz on the building’s west façade. 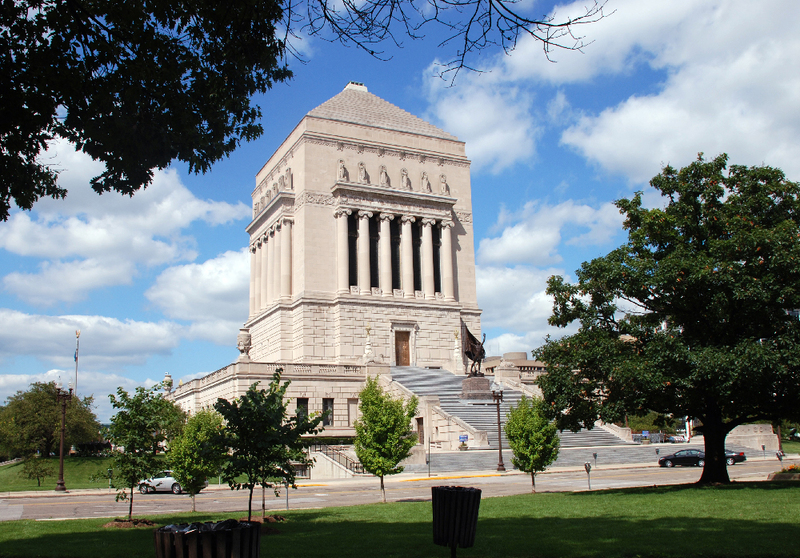 The Landmark Look on March 2 is free for members of Indiana Landmarks, $10 per nonmember. Read more about the building’s stunning transformation, and reserve your spot for the tour.